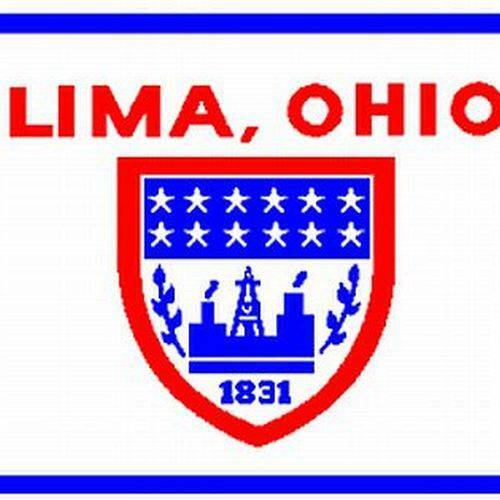 LIMA — In the last two years, the City of Lima fired 12 individuals. Two were black, one was Hispanic, and the rest were white. As for the public works department, since 2003, the department fired 11 individuals. Six were minorities, and five were white. Nine were fired due to drug-related issues. The last two, both black, were terminated due to behavior, according to city documents. When NAACP local chapter President Ron Fails organized his rally to protest minority terminations a week ago, he did not know these numbers. The city did. Using the evidence of the six fired black former employees, Fails threatened a lawsuit. City leaders are hamstrung from speaking publicly about some of the issues due to an ongoing arbitration process brought forward by Joiner. An extensive review of city files and interviews with those involved reveal the city isn’t ignorant about some problems affecting its black employees, especially some of the cultural use of language and perceptions of work promotions. Philip Williamson, who is also black, was at the heart of the first incident. As he tipped over a wheelbarrow, which he said was defective, he lost his grip on the handle and it hit a white coworker. Later, as Williamson sat in his cab, he heard comments on an open radio in reference to the accident. “I don’t know why they hire those lazy [expletive] [n-words],” Joiner and Williamson claimed was said by those white co-workers. In the second incident, a similar conversation played out while black construction worker Wayne Bradley sat with his white coworkers. Joiner’s complaints on the two incidents sparked a two-week long investigation, which included 11 interviews between witnesses and Deputy Director Warner Roach, who is black. The investigation concluded that Joiner’s first incident lacked evidence because “none of the witnesses were able or willing to corroborate the conversation” as detailed. Fox was given a written warning about the incident as it was a violation of the city’s policy on harassment. Director of Public Works Howard Elstro said the city uses progressive principles when disciplining employees, and Fox had no prior disciplinary measures on his record. Both Joiner and Williamson have since been fired from the city’s street division for varying reasons. Joiner’s file points to tardiness and abused sick leave. At one point, he also left the job site in the middle of a workday. His final termination papers say Joiner had been fired due to excessive digital recording on the job, which goes against the city’s electronic communications policy if it harasses coworkers. Joiner has since filed grievances through ASCME Local 1002 against the city’s actions. Williamson admitted to some of that. He said he had been late before, was involved in a minor fender-bender in a city truck and did drop the wheelbarrow, which injured a coworker. But he disagreed with the lack of initiative. ”I outworked all those guys,” Williamson said. According to Williamson, the close relations between street workers, some of them familial, create undue hardship for those outside of the group, especially if an individual requires additional training. Williamson’s work background did not specifically include street repair when he was hired, Williamson said. But he had been working for decades prior to hiring. His past history includes employment as a manager of a fast-food restaurant and working on miscellaneous labor projects in the area. He also spent two summers working seasonally with the city. In the streets department, there are at least three confirmed father-son pairs. At least two have been on the rolls for more than a decade. Mayor David Berger said nepotism had been a “long-standing circumstance in every department.” But recent adoption of a city policy against nepotism is supposed to curb such relationships, he said. “We now structure it in such a way that folks do not end up supervising [family members] if they are new employees,” Berger said. The new policy does not mean existing father-son pairs need to be separated. While the use of racial slurs has been investigated and recorded by the city, other claims from the NAACP and Fails do not appear to have the same foundation to stand on. Fails claims that an individual slightly overweight had been forced to lose weight by the city, used weight loss drugs to do so and was fired because of that use. That individual, John Allen, had began working with the city in 1999 weighing 387 pounds. Records provided by Allen show the city forced him to lose the 87 pounds necessary in order to be under the weight limit of a bucket truck. Allen did so, but the stress of the endeavor, he said, ruined his marriage by 2002. He turned to marijuana and cocaine to deal with his life issues, which got him fired. The city drug tested Allen (as they do all employees with commercial driver’s licenses) and found the drugs in his system. The negative drug test was stated as the reason for Allen’s termination, according to Allen’s documents. ASCME Local 1002 Union Representative Adam Maguire said Fails’ statement about the union is inaccurate. The union will file grievances with the city on behalf of its members, but that does not mean the union supports the NAACP’s efforts. If the two entities cannot come to an agreement, a mediator may be brought in to work out a conclusion. If that doesn’t work, the case may enter arbitration, Maguire said.